So what does this mean for businesses that have a Twitter and Facebook? It means more exposure especially for the business brand on Twitter. If businesses have branded a hashtag that tweeps are familiar with this is going to be a way to really cross pollinate with their Facebook following. And really introduce some people to microblogging if they really haven’t been exposed yet. Yes this finally means that the majority will finally understand the purpose of a hashtag in the first place since the use of them has crossed over to Facebook as a form of expression rather than organizing conversation. I will be curious to see spikes of engagement and new followers. 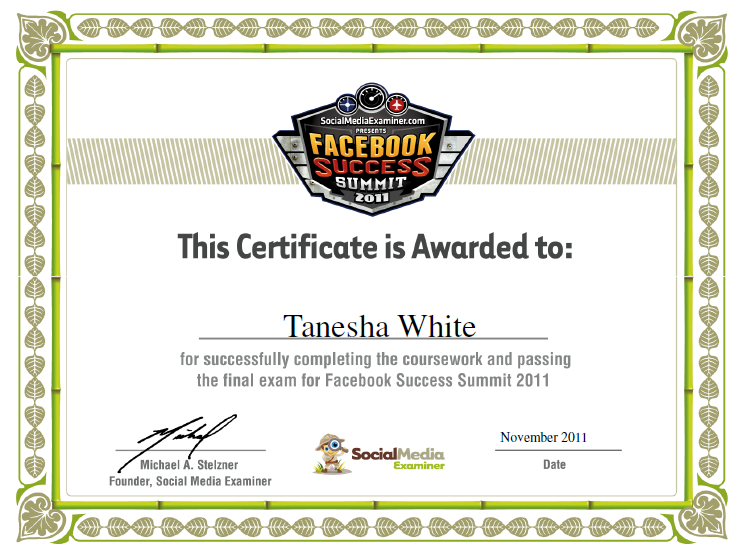 My Certificate For the Facebook Summit 2011! The Facebook Success Summit 2011 was such great seminar! I absolutely enjoyed all the speakers ranging from Marketing Directors from Nationwide companies to authors in the industry. If you didn’t have a chance to catch it you missed out on topics such as: 10 Ways to Bring the Power of Facebook to your website, and How to Measure Facebook Campaigns. 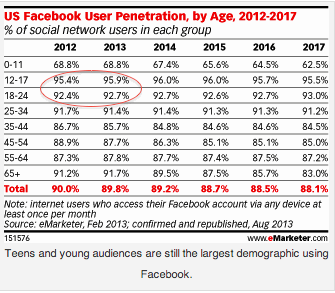 This was a great way to get insight on how larger companies are utilizing social networks. It would leave me brainstorming on how to scale it down to work for small businesses. Stay tuned for 2012, In this ever changing industry you’ve got to stay in “the know” and these seminars are such a convenient way of doing it!